Oils your hair will love from Weleda, Pantene, OGX and Schwarzkopf Professional! 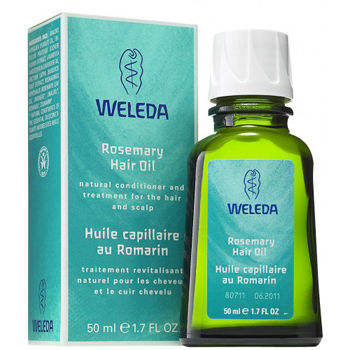 Weleda Rosemary Hair Oil - 50ml - $17.99 - a deep-conditioning treatment that restores moisture, softens split ends and adds radiant shine as it penetrates. With organic rosemary leaf extract to help strengthen dry, damaged hair, while organic burdock root extract revitalizes and nourishes hair and scalp. Use daily or as needed for softer, smoother, more manageable hair from root to tip. For an immediate difference in hair’s appearance, use as an overnight replenishment treatment. Massage a small amount into scalp and brush through to ends. Wash out in the morning and style as usual. Available at Whole Foods, Planet Organic and selected natural independent health foods stores as well as online at weleda.ca and well.ca. Pantene Pro-V Expert Collection Advanced+ Keratin Repair KeraGloss Oil Mist - 100ml - $10.99 - designed to fight 5 facets of damage including: split ends, frizz, dullness, dryness and rough feel. Wraps your hair, which is made mostly of keratin, with a protective layer to help restore its surface to a healthy looking, smooth condition while it repairs hair to add brilliant shine for 48 hours of continuous shine. OGX Renewing Argan Oil Of Morocco Weightless Healing Dry Oil - 118ml - $ $9.99 - an ultra-light oil that infuses hair with a sheer veil of shine, giving a multifaceted glow. The heat of your blow dryer infuses it into the hair shaft and when used on dry hair it adds shine and controls frizz. Schwarzkopf Professional BC Bonacure Hairtherapy Oil Miracle Light Finishing Treatment - 100ml - $35 - with a lightweight, non-greasy formula that contains botanical marula oil to nourish the hair. Won't weigh down even fine hair while adding style, smooth control and extra shine. Available at fine salons across Canada.